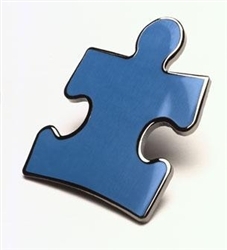 If you see an inordinate amount of people wearing blue or a puzzle piece lapel pin today, here’s why. 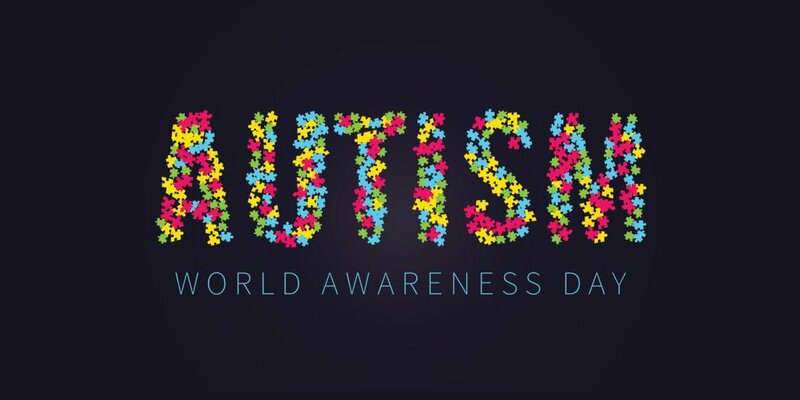 Today is the 12th annual World Autism Awareness Day (#WWAD), established by Member States of the United Nations to raise awareness about people with Autism Spectrum Disorder (ASD) throughout the world. To show our support, Fund for Teachers proudly shares the work of Guin Geyer. 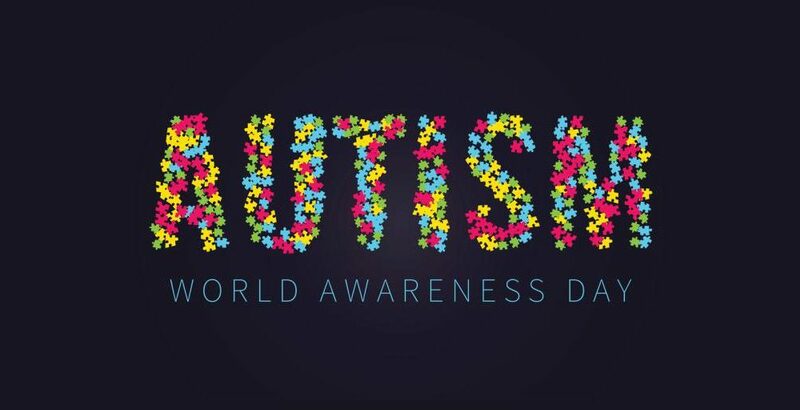 Autism was a relatively new diagnosis when Guin earned her special education degree, which meant she received little to no training on how to help students and their families living with the communication disorder. While the diagnosis continues to increase (1 in 59 children according to the Centers for Disease Control and Prevention), Guin found teacher development in the field remained non-existent. Not one teacher in her school district was trained on the spectrum. “I intend to become the go-to professional in the state of Oklahoma to help colleagues find the best teaching methods for severe-profound student populations they teach,” wrote Guin in her Fund for Teachers proposal. She started this quest with a $5,000 grant to attend the Treatment and Education of Autistic and related Communication Handicapped Children (TEACCH) conference in Indianapolis last summer. Considered the best practice for teaching those with autism disorders, TEACCH representatives taught Guin how to structure her classroom in ways that help students better understand their environment and achieve independence over time. She then returned home to Oklahoma City and created that classroom at Bridgestone Elementary. 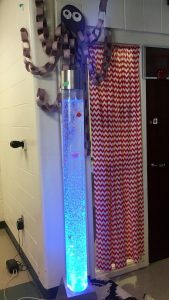 The new bubble tower employs sound, lights and movement to calm students’ anxiety. 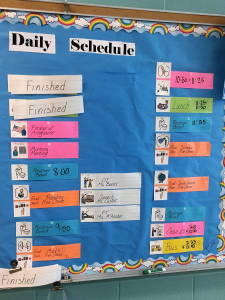 Students now have schedules that match their specific level and needs. Every student is now included with regular education peers in one aspect or another on a daily basis. She’s conducted several teacher professional development sessions across Oklahoma. The Facebook page she created for Oklahoma educators reaches more than 1,200 people, supporting collaboration and reducing burnout. As a result of these innovations, Guin reports a 98% reduction in disruptive classroom behaviors. “Very rarely do we see any problems at all and it’s easy for us to resolve them at this point,” she says. Emily Frake (Camino Nuevo Charter Academy #2 – Los Angeles) also chose to pursue learning that supports students on the Autism spectrum. 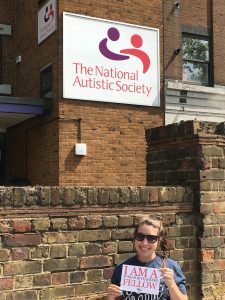 Emily used her Fund for Teachers grant to attend The Autism Show, in Manchester, UK, and, afterwards, observed leading inclusion schools in London to better understand effective and meaningful implementation of inclusion on a school-wide level.